Another app has come into market with lots of promises. According to Aviate Launcher it will make our life much easier by customizing the apps that we usually use. From the time we wake up till the time we go to bed we don’t have to worry about the app we use because it will automatically pull up the app for us time to time. It doesn’t have different screen so the home screen displays the apps or the widgets that you use daily. This one is an intelligent app as it senses the likes and dislikes of the user of the phone and acts accordingly. But the phone is still in beta only so, everybody can download the app. If you want to start using the app then you need to get the invite code otherwise it will be of no use. There are certain site/blog from where you can get the invite code and if some of your friend has got it then ask for the code an get started with the interesting app. Its a Good News for Our Blog readers that we are Sharing Aviate Invite Code to those who share this Post on Social Network and Comment below with their email id on which they want Invitation Code. A lot of people already got Invite code from our Other AndoidGalaxy Blog. Since we don’t have hundred’s of code, so all you need to do is just comment below with Mail ID and we will send an Invite code to that mail, after that you need to share 3 Invite codes to commenter below your comment. 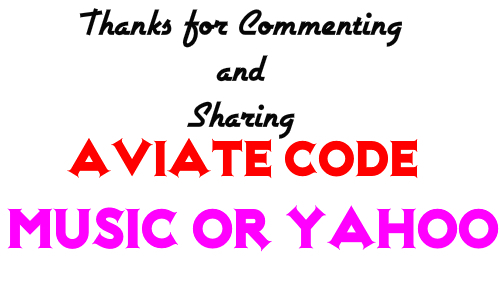 Aviate allow to share 5 Invite code, so we are asking only 3 out of those 5. Aviate will let you use the apps without getting into much hassle as it opens up the apps that you use generally without wasting much time. Starting from morning till the time you go to bed you will see that the apps opening up at the time you generally use. Like just after the morning alarm goes off, if you log into your email account to check mails then this app will open up your mail account as soon as you put your alarm off. Therefore, it would save you time and effort both. 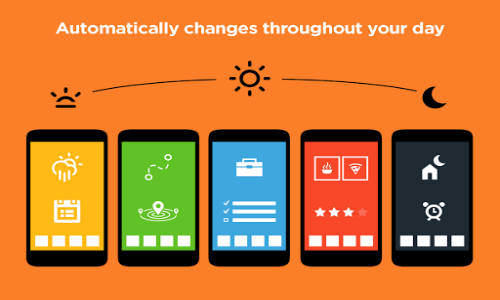 It will categorize your use automatically depending on what time of the day you are using which app and it will operate that way. This is a good option for sorting out your messy home-screen too. All the cluster of apps will be sorted out and the apps that you rarely use will not be there in your homescreen everything will be replaced with centered wallpaper which is customizable. From morning till night you will have customized wallpaper with three different images on the screen. When you tap on the first or the top most images then you will get the weather condition and so on. The lower section will of the Aviate Launcher will provide you with the apps like contacts, message, Facebook, Google search and settings. Three different modes of this app are Home, Office and Going somewhere. Depending on the apps timing that you have set it will automatically switch itself between apps. 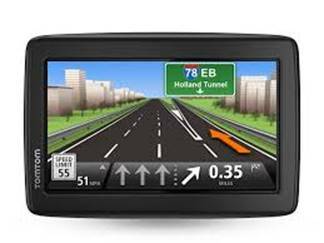 While you are driving it will provide you with the direction and will update the traffic information too. 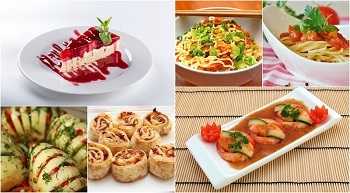 If you are planning for a dinner then it will give you the review of your restaurant and the photos of that place. It is user friendly with simple navigation, no complex design, and homescreen adapts automatically as per user’s interest and lifestyle making the Aviate Launcher a major hit among the busy professionals. can you please send me the invite. Please, send me one invite. Please, send me an invite code! Hello Michael Daehn Invite sent to your mail ID. Please Invite below commenters.. Sharing through twitter. Kindly send an invite at jc@hellothisisjc.com thanks! Can I get an invite code please? rollout989@gmail.com thanks! Can you pls share a invite please at smandal@sify.com. Thanks. I hope there are some invites left! ! I will pass it on! Please, invite me… Onny.Daviid.xd@gmail.com . I’ll invite the next comments below to me. Sorry for my English. I’m venezuelan. Can I have an invite pls? Will be passing on when I get one! Hello Vanessa Invite sent to your mail ID. Please Invite below commenters..
please send me the aviant invite code. Can someone spare and Aviate invite code, please. Thank you! I`ll share with no doubt! It seems No invite is coming? ? please send invite to p_cm_s@yahoo.com. Greatly appreciated! Would love an invite please. only1fishbone@gmail.com. Thanks. Send me an aviate invite please. I’ll add the next 4 commentors. I need a Code to start using AVIATE. I need a code. Would you get me an invitation to nzair7@gmail.com please :)? Shared the link on g+. Um convite por favor agradecia imenso. can someone please send me an invite code?? Can someone please send me a invite? I just shared this on Facebook. Please send an invite code to mzavattaro@gmail. Thanks. I want a invite Code too!?!? Just shared on Google+ may I please have an invite code? is it possible that you can send me an invite on my e-mail ID…. would love to experience Aviate on my device… my e-mail ID is moses.subba@gmail.com. Could someone please your invite code I was using the free one from Yahoo but I had to change phones. Plz send me invite. My email id is atulmahendra27@gmail.com. Thanks…. Please spare me an invite at shuklaalok7@gmail.com. Thanks. Just shared this article at my facebook page. Please give me an invitation code if you have one left for me. My email addres is ‘asifforahd01@yahoo.com’ . Please spare me an invite at lionel@amobee.com Thanks. Please spare me an invite at antoinee@gmail.com Thanks. Please send me an Aviate invitation at lolec.plec@gmail.com . Thank you. shared in Google Plus. Please send me the invite code. Will invite others . please invite me at ockyism@gmail.com thanks mate.. Please send me an invite. Thankx. Shared on facebook. Invite at ishan.inbox@gmail.com. Hi, I want it to try! please send me an invite code! my e-mail is marc_wagen13@hotmail.com thanks! I will share my invites per agreement in this blog post. Thanks! Share an invitation code, please. That’ll be great. Just shared on facebook. Will share 5 invites in return…please invite!!! pls send the code varinderbarmi@gmail.com thnk you!!! pls send me the code varinderbarmi@gmail.com thnk you !! No need got one already! Came to about this, few days from a YouTube video review. Eager to have my hands on this launcher. Great. Send me a invite please. Please send me an invi code, you guys. Hi just shared your Review ! liked it a lot. really want to try it. can i have the code anyone please . Can you please send an invitation code to arkaeneus@yahoo.com ? Would love if I could get an invitation! I shared on twitter and I will invite others! pls, send me the code julio.isoba.blanco[at]gmail.com thanks!!! I’ll be grateful if u send me an invitation code…please…. Great way to increase the hype around the app. Care to send me the invite? Hi i’d love an invite too maria-lehmann@gmx.net thx! Please send to kylehardy5299@gmail.com. Thank you. Please invite rebelo.elton@gmail.com , thank you so much! Send me Invite for Aviate pleas. Just shared on my google+.. Please get me a code. I’ll pass on asap. Thanks! Would someone kindly send me an invitation code please, my email is mstoya26@gmail.com. Thanks!!! Can i get invite code please,thank you. I have already left one message somewhere else and I have been waiting a month since I sent in for my code through normal channels. Is it worth the wait. Since then I have found a launcher called Buzz and it is amazing if I can’t get a code in the next 7 days I don’t know if I will switch. I’d love one code too. pla send me invite code….. Please, send me one invite!! Please send me a invite code. Please send me the invite..waiting for it. Please do send me an invite: linuxbrother11@gmail.com many thanks! send me an invite code, please. I will invite next member. I would love an invite pls. Please send me an invite code! Sharing on Facebook. please send me invite code. Thank you! Could you please send me an invite code?I will share my invite codes as requested. Pls invite me too. Keep it up. U r soon a gr8 job. Thnx in advance. Please share an invitation code. I promise to share 3 out of my 5 codes. Don’t know if anyone is still handing out invites to aviate still. If they are I would love to try aviate and will pay the invites forward as requested. Thanks! Pls send me the invite! Would love an invite code. colleenokelly at gmail dot com. Could I get a code please? Thanks! Please send me an invitation code and I’ll send back 3 for the next requests. I would really appreciate an Aviate code. I’d love an invite code: guppychild@gmail.com Thank you in advance!